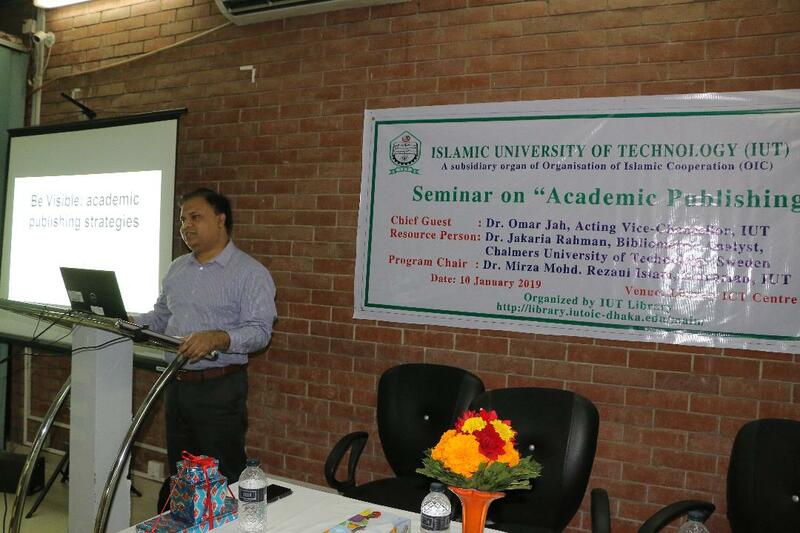 The library of the Islamic University of Technology (IUT) has organized a seminar on ‘Academic publishing’ on 10 January 2019. 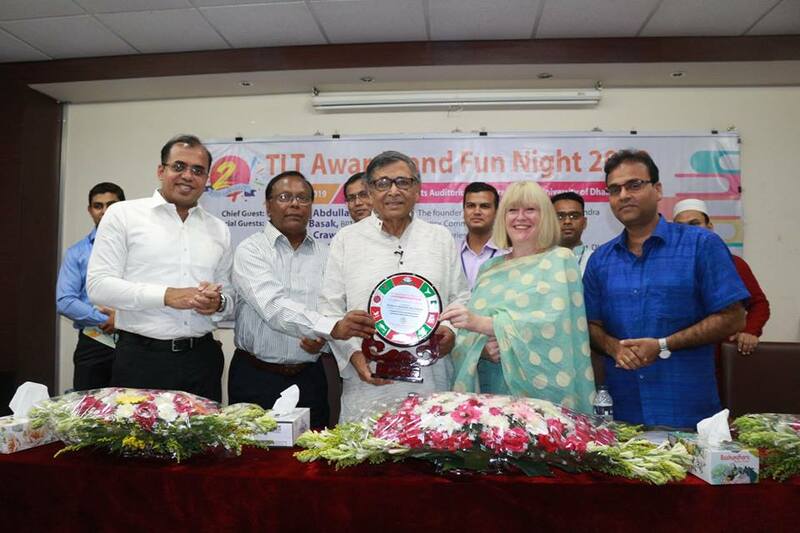 Dr Omar Jah, Acting Vice-Chancellor of the IUT was the Chief Guest. 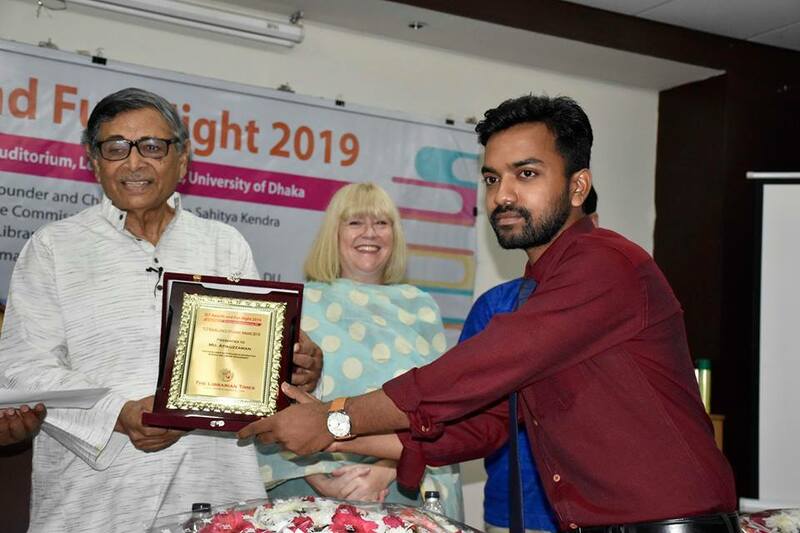 Dr Jakaria Rahman, Bibliometric Analyst of the Chalmers University of Technology (Sweden) was the resource person and delivered a lecture on ‘Be Visible: academic publishing strategies’. Dr Mirza Mohd. 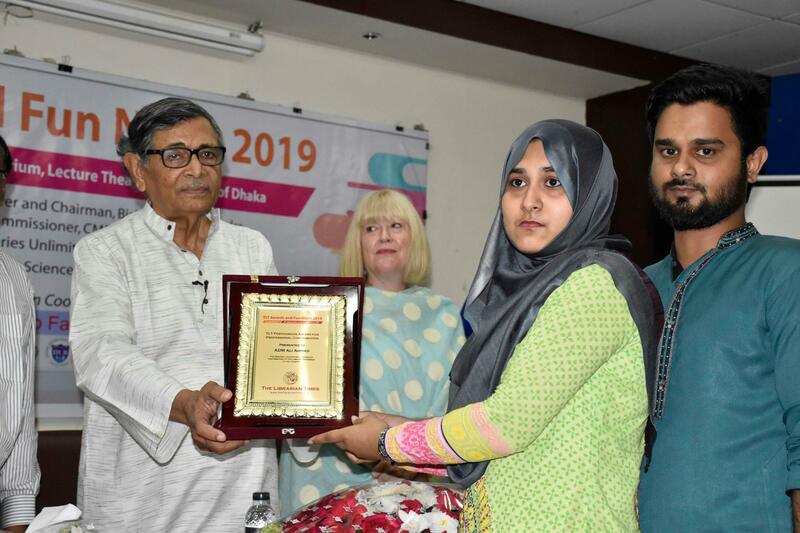 Rezaul Islam, Librarian of the IUT was the program chair. The Chief guest appreciated the initiative of the IUT library for bringing in such a timely topic of discussion. He requested the resource person to ignite the discussion and give his expert advice to the participants. The program chair host the entire seminar. Signing Ceremony of MOU on Collaboration between ISLM, EWU and BPATC On 26 December 2018. 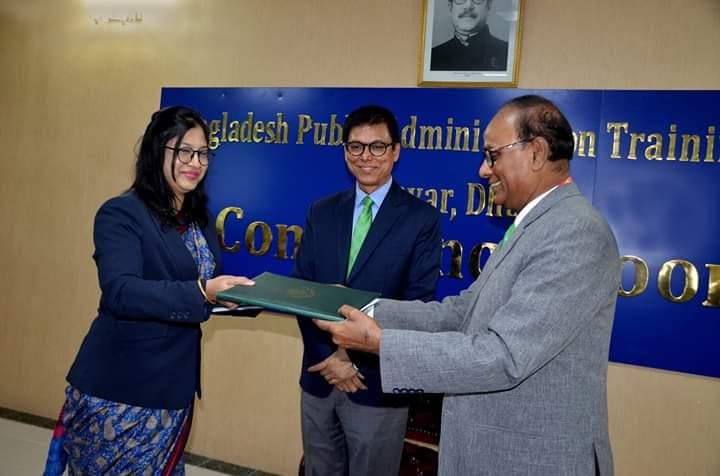 A Memorandum of Understanding (MOU) for the First International Conference on Information and Knowledge Management (i-IKM 2019) on collaboration between Department of Information Studies and Library Management, East West University and Bangladesh Public Administration Training Centre (BPATC) was signed on 26th December 2018. Both organizations have agreed to cooperate on the organization of the 2019 International Conference on Information and Knowledge Management. 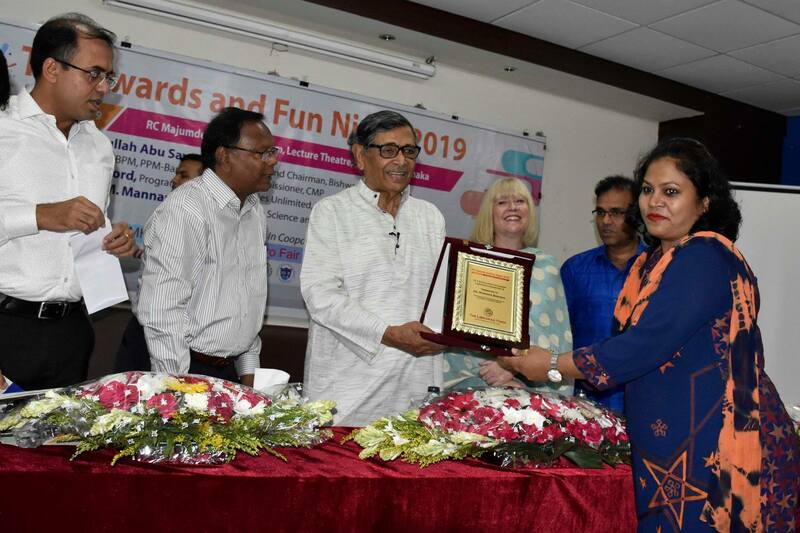 Three library professionals of Sher-e-Bangla Agricultural University namely, Md. Shofiullah Akand, Md. 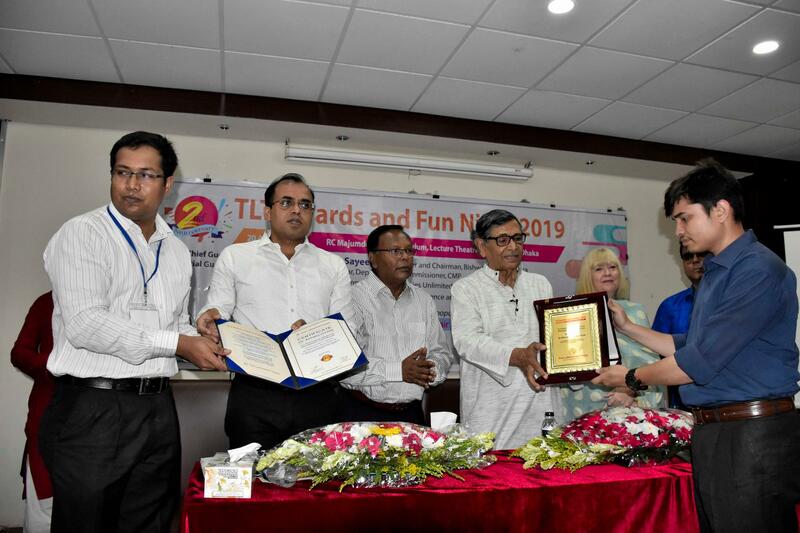 Kamim Shahriar and Bandana Roy, have been promoted to their new positions. Daffodil International University (DIU) Library is going to start Koha-ILS and MARC21 Training (17th Phase) from 19th April 2019 to 22nd April 2019 at DIU campus. 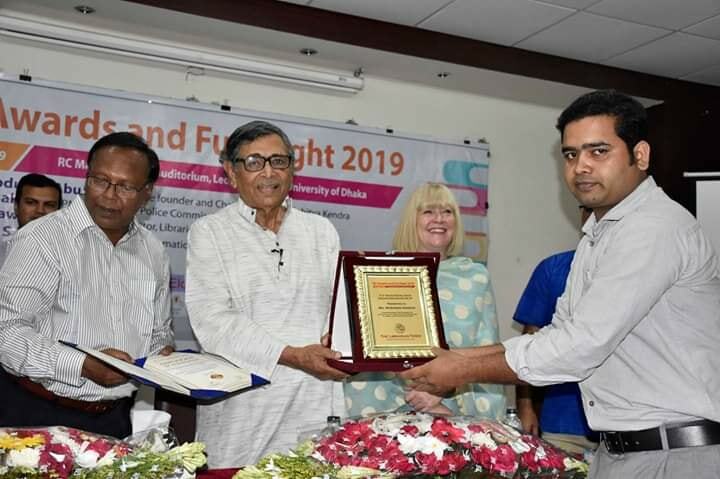 For the skill development of the library professionals, the DIU library has been organizing Koha Software and MARC21 training in their own campus since 2012 and successfully completed their 16th phase till date. Information Professionals, Knowledge Managers, Information Entrepreneurs, Students of the LIS Education are encouraged to register for the training program. 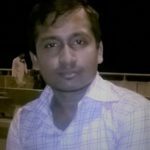 Mr Nur Mahammed Golam Newaz has joined as a Library Circulation Officer in the East West University (EWU) library. 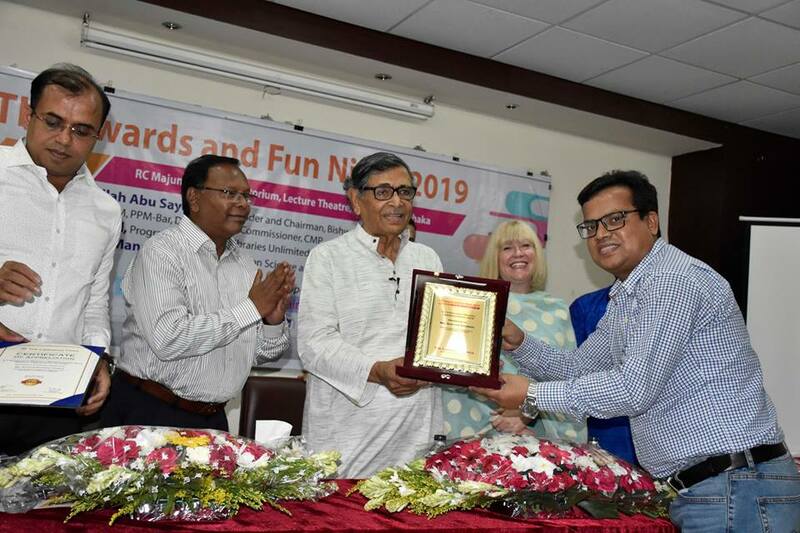 Prior to joining at EWU, he worked as an Online Cataloguer at Bangladesh National Parliament, Financial Management Academy and DPATC. 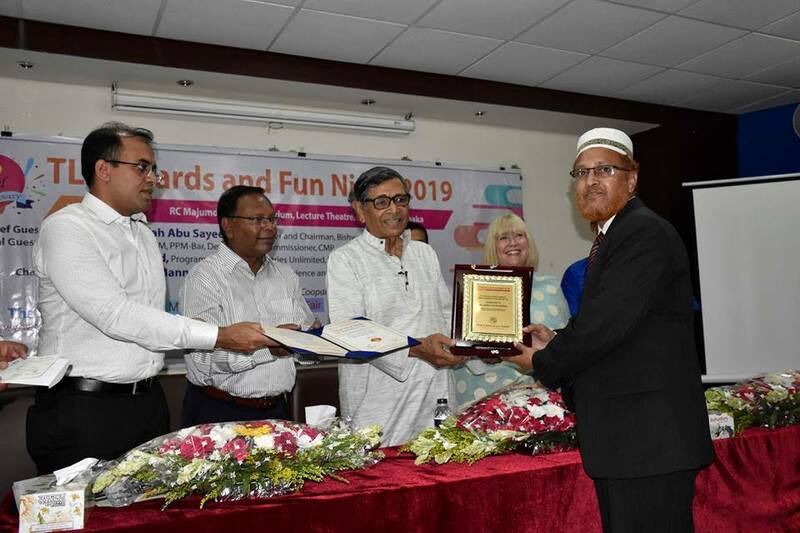 Mr Newaz received his Honours and Master’s Degree in Information Science and Library Management, University of Rajshahi, Rajshahi, Bangladesh. On behalf of TLT congratulations to him on his new career at the EWU library!